Grant Shapps has resigned as international development minister amid allegations of bullying in the Conservative Party’s youth wing. He was once seen as a high-flyer within the Conservative Party with a bright political future. But he quit following claims he ignored warnings about bullying while he was party co-chairman. Mr Shapps is regarded as having a different background to his contemporaries at the top of the Tory party. A married father of three and a cousin of The Clash guitarist Mick Jones, he was born in Watford and schooled at the local grammar. He went on to study business and finance at Manchester Polytechnic and started a successful printing business in his 20s. But politics was his calling from an early age. He joined the Jewish youth organisation BBYO and later became its national president. Fellow BBYO member Simon Johnson, who met Mr Shapps when he was 13, said: “I remember him saying very clearly ‘my name is Grant, I’m from Pinner, and my ambition is to be a Conservative cabinet minister’. Mr Shapps gained a reputation as a skilled campaigner and after losing the 1997 election to Liberal Democrats Simon Hughes, he eventually won a seat in Welwyn Hatfield, Hertfordshire, in 2005. Seen as a young star, Mr Shapps became the party’s vice-chairman in the same year, and shadow housing minister in June 2007. He continued to rise quickly through Westminster and was made housing minister as part the coalition government after the 2010 general election. Regarded as an effective campaigner and media performer, he was selected as Conservative co-chairman in 2012, and became a cabinet office minister. As chairman, he was responsible for running the party machine and overseeing Conservative Central Office. He would have been hoping for a cabinet post after the Conservative’s victory in May in which he was re-elected as Welwyn Hatfield MP with a majority of more than 12,000. But following controversy ahead of the election, with newspapers focussing on his online interests and use of social media, he was effectively demoted with his appointment in the more junior role of international development minister. In September 2012, the Observer newspaper claimed he had secretly altered his Wikipedia entry, removing a reference to his time at Watford Grammar School and a list of political gaffes. Mr Shapps dismissed the accusations as “bonkers” and Mr Cameron stood by him, insisting he was doing a “great job”. 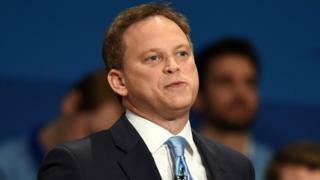 Wikipedia later censured an administrator who accused Mr Shapps of editing his own entry, saying there was no evidence connecting the account with “any specific individual”. 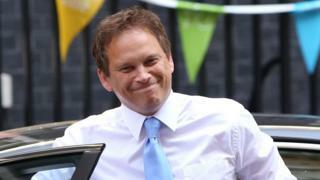 Mr Shapps had earlier been accused of breaching the code of conduct for ministers and MPs, after it was revealed he wrote self-help guides for a website operated with his wife Belinda, using the pseudonym “Michael Green”. He later said he had “screwed up” and admitted he had “over firmly” denied he had continued his work as a web marketing expert. Again Mr Cameron backed him, with Downing Street saying he had the prime minister’s “full confidence”. However, following the attention on his handling of the allegations of bullying within the Tory youth wing while he was party co-chairman, Mr Shapps resigned as international development minister, saying he had “come to the conclusion that the buck should stop with me”.